Sunshine on Saturday. Body Balance followed by an afternoon of fun with the kids, a very funny (raucous) Japanese meal with friends. Sunday morning and a houseful of ladies looking at lovely jewellery, and then a family lunch that spilled into early evening. These are the weekends we look forward to, and that pass in a blur leaving behind unfinished unstarted chores and a long To-do list. But that's ok.
At the end of last week I discovered the Midori Traveler's Notebook. Have you seen these? 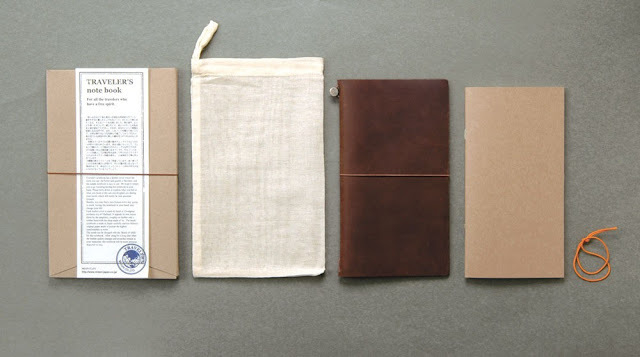 It comes as a leather cover and basic notepad, to which you add your own configuration of further notebooks, pockets, planner/diary inserts and other bits and pieces using the elastic bindings. This ticks so many boxes for me - it's a really simple Japanese design, customisable, made of lovely leather which is just going to look better the more it's used, it's refillable, plus it looks like Indiana Jones might use it... what's not to love?! I moved just a couple of things around the Cwtch last week and now, instead of my laptop being next to the armchair, there is a wooden bowl filled with scrumptious little balls of colour. The difference this minor relocation has made is quite unbelievable. 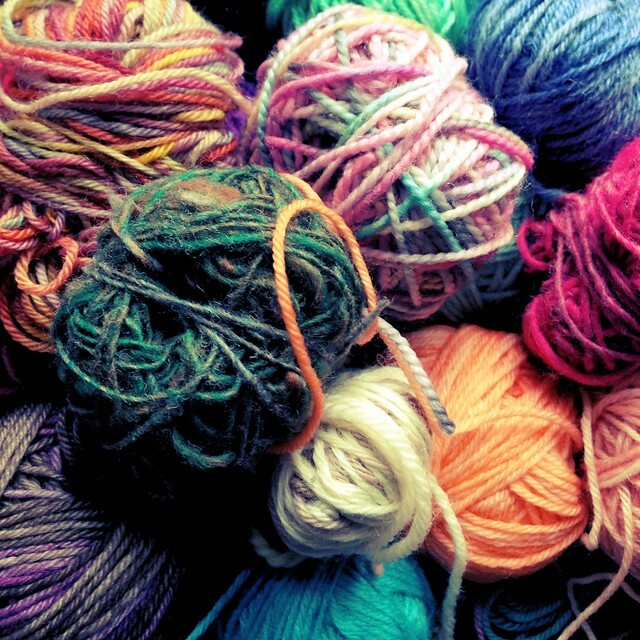 Not only am I spending less of my evening aimlessly looking at the laptop screen, but the colours and textures in the yarn make me feel really rather happy and creative, even during these grey wet days of winter, so I am wondering what else could be improved.... Do you have any tips for de-cluttering your creative space? Have you made any simple changes that had a big impact? I'd love to know. He's been making DIY inserts for the Traveler's Notebook. Maybe there will be something helpful to you there. I really enjoy your knitting/reading posts. Sarah, the Travellers Notebook reminds me of some of the scrap booking and journaling stuff I used to do. You should check out Shimelle Laine, she does some amazing online classes. I took part in the Christmas one and have a gorgeous journal for that year. Looking forward to seeing more images and info on your journal. I'm so tempted to get one, but couldn't justify that kind of money, when I have all the supplies to make one just sitting in the craft room! I can't wait to see a photo of your new Traveler's Notebook! There are such fun planners out there! The Japanese products available are insane eye candy. You know me and my girls are big shoppers in our famous Japantown. Washi tape is so fun to use. We used it to seal a 100+ envelopes of Christmas photos.